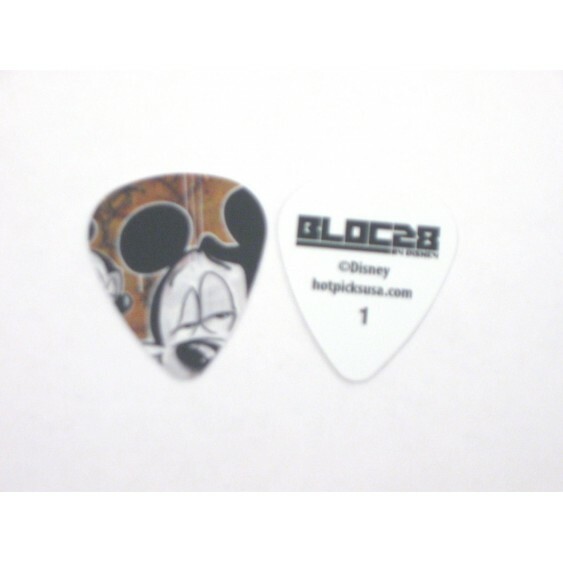 THIS AUCTION IS FOR A "DEALER LOT" OF 108 LICENSED DISNEY "BLOC 28 MICKEY MOUSE #1" CELLULOID GUITAR PICKS FROM HOT PICKS. 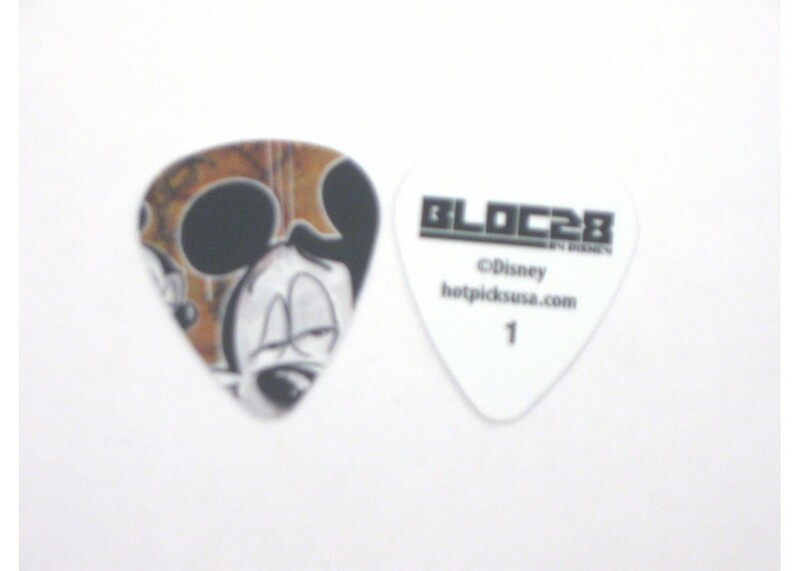 Disney Bloc28 Guitar Picks from Hot Picks USA - The idea for BLOC28 started in 2008. Disney thought it would be interesting to work with artists experienced in non-traditional media like murals, graffiti, and street art. It started as just a few graphics, but it was soon developed into its own program. Disney knew there were artists out there that were inspired by Disney characters as kids, so they wanted to see how Mickey could be re-interpreted. There are 6 different picks in the series, all of which I am selling here on ebay. The number and style of pick you will get is show in the title and photo in the ad. I have seen individual picks of this model selling for as high as $6.99 right here on ebay so at my price you should be able to undercut any price and still make a huge profit. This auction consists of a great group of 108 quality picks for acoustic, electric, or bass guitar. These are very fine quality picks and I am selling them at a CRAZY low price. Why am I selling these so cheap? ----- I bought the entire inventory of licensed picks from a bankruptcy auction of a giftware distributor at a ridulously low price per pick. Unfortunately, to get the deal I had to buy the entire inventory of 400,000 picks ! Since it would take me 20 years to sell these if I were selling them one at a time and since this lot of picks filled 2 entire skids over 6 feet high I am going to let other sellers buy them cheap as well and make themselves a nice profit. If you go to the Hot Picks site you will see that these picks wholesale in a refill pack of 36 for $15.00 and they retail for $35.94. That means 108 pieces usually wholesales to dealers for $45.00 and sells retail for $215.64 . I am selling them for over 2/3 off of the WHOLESALE price and 95% off the retail price! Not a music or giftware dealer? These lots would make great handouts at kids parties , or great craft items if you make your own jewelry or decorative collectibles. Thanks for looking and keep looking for more great deals from BUTLER MUSIC.